Once these stores and factories sold the stuff of children's dreams, but now that they lie abandoned—filled with decaying displays and disembodied doll heads—they are more likely to inspire nightmares. 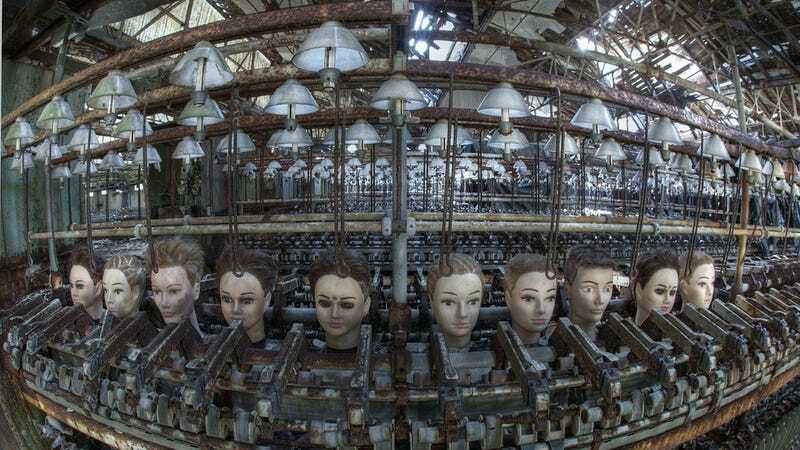 Top image: Doll factory – The last production, via Bousure. There was a fire in 2010, so it has been torn down. A toy store, mill and a factory in New England. After its closure there was a laser tag arena in the building. Toys & Gifts Outlet store in the abandoned Belz Factory Outlet Mall in Allen, Texas. The mall was only active for four years between 1983 and 1987.